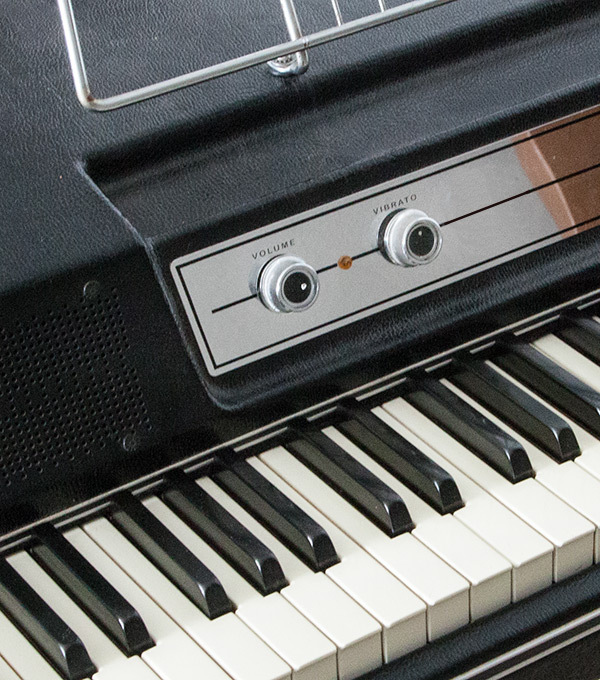 The iconic sound of the Wurlitzer® Electric Piano has ruled the airwaves for over half a century. The “Wurli" was made from 1954 to the early 1980s. Designed for gigging musicians, the 200A was released in 1974 and had an updated amp and speaker design over its predecessor, the model 200. The tone came from metal reeds – small blades that were struck by the hammers of a real piano action. The reeds are tuned by adding drops of solder to the tip and filing it off until the pitch is right. Internal pickups route the sound to a self-contained amplifier and speaker. 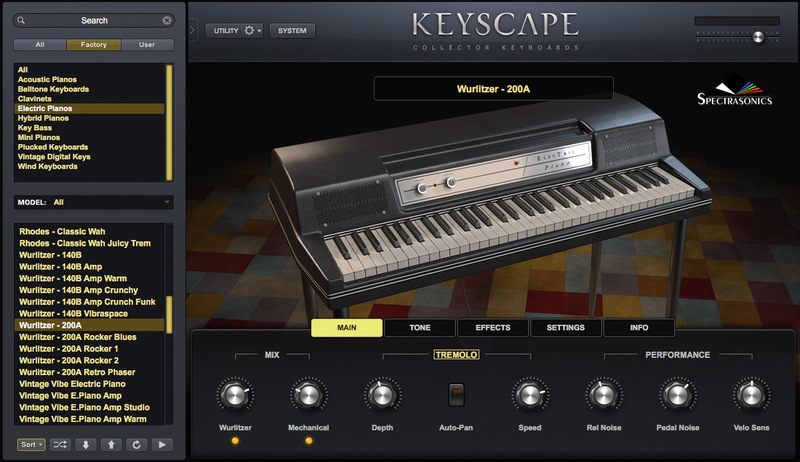 In Keyscape, we present the direct out and the internal speaker, as well as the mic'ed mechanical sound of the keys, which adds to the feeling of sitting in front of the real instrument. Combining these signals was a popular method of recording this model. Among the many artists who have famously used the original 200A are Supertramp, Elton John, Pink Floyd, The Archies (“Sugar Sugar”), Joni Mitchell, each of the Beatles in their solo careers, and Steely Dan. Just like the 140Bs, vintage 200As are still sought after today by musicians and collectors alike.